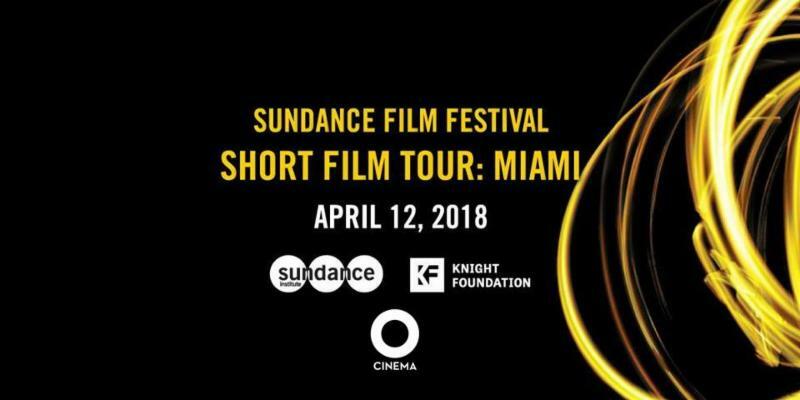 Isle of Dogs opens Friday! The voice cast includes Bryan Cranston, Koyu Rankin, Edward Norton, Liev Schreiber, Bill Murray, Bob Balaban, Jeff Goldblum, Scarlett Johansson, Kunichi Nomura, Tilda Swinton, Ken Watanabe, Akira Ito, Greta Gerwig, Akira Takayama, Frances McDormand, F. Murray Abraham, Courtney B. Vance, Yojiro Noda, Fisher Stevens, Mari Natsuki, Nijiro Murakami, Yoko Ono, Harvey Keitel and Frank Wood. 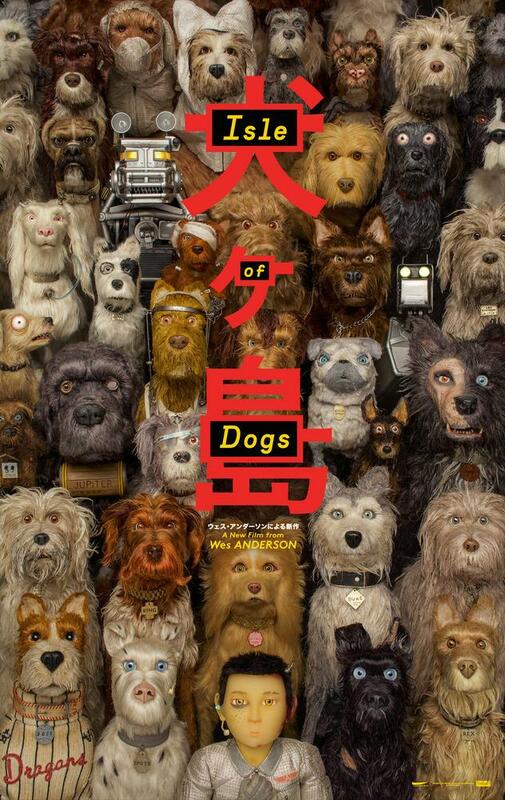 "BEAUTIFUL...filled with exquisite illustrations, whimsical flourishes and nostalgic details"
"A work of spellbinding loveliness"
Join us Friday night to celebrate the Opening Night of ISLE OF DOGS, Wes Anderson's latest film in the courtyard, in front of O Cinema Wynwood. 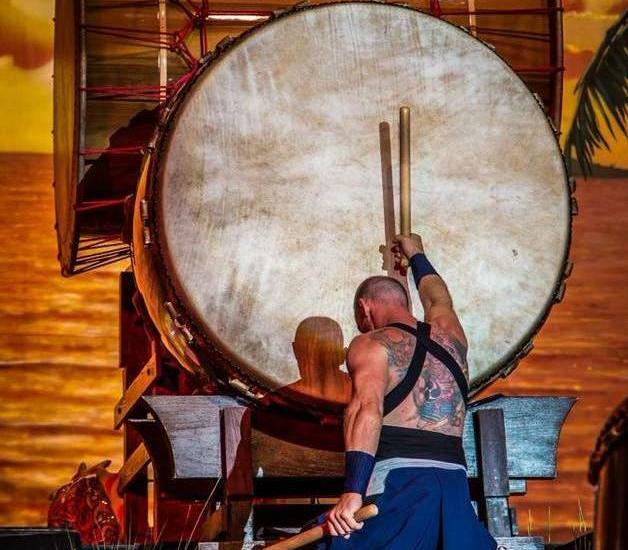 Things will get loud with the dynamic energy of a traditional taiko drum performance from Ronin Taiko. Sip specially brewed asian tea, enjoy asian fusion food, peruse origami jewelry by artisan Akiko Iwata- all as part of our celebration of Japanese culture. 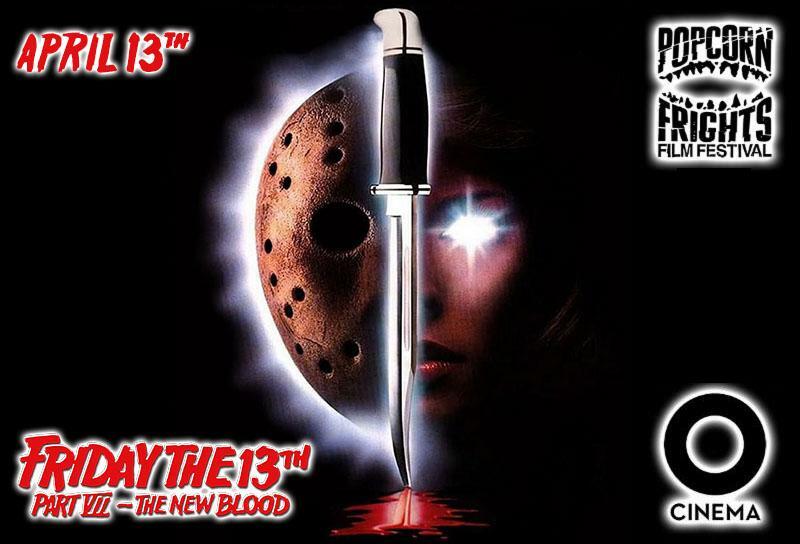 The party will run from 8pm to 10pm so whether you're coming to the 7pm show or the 9:15pm that night, leave some time to enjoy the festivities on your way in or out of the theater. Tickets are selling fast for opening night so grab yours now. Bring your pups to the theater, for our 2:30 pm screening of Isle of Dogs, and let them sniff out the mystery alongside Duke, Chief, Boss, Rex, King, and Spots. 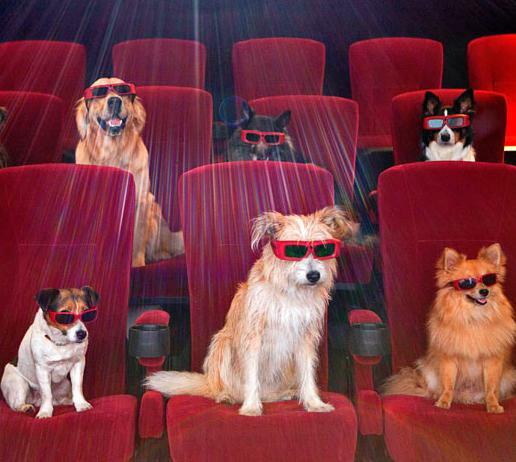 Well behaved dogs welcome in the theater with you to watch the movie! We'll be giving out special 'Year of the Dog' fortune cookie doggie treats provided by Bubba Rose Biscuit Company for the best dogs (and we know, they're all the best dogs!) 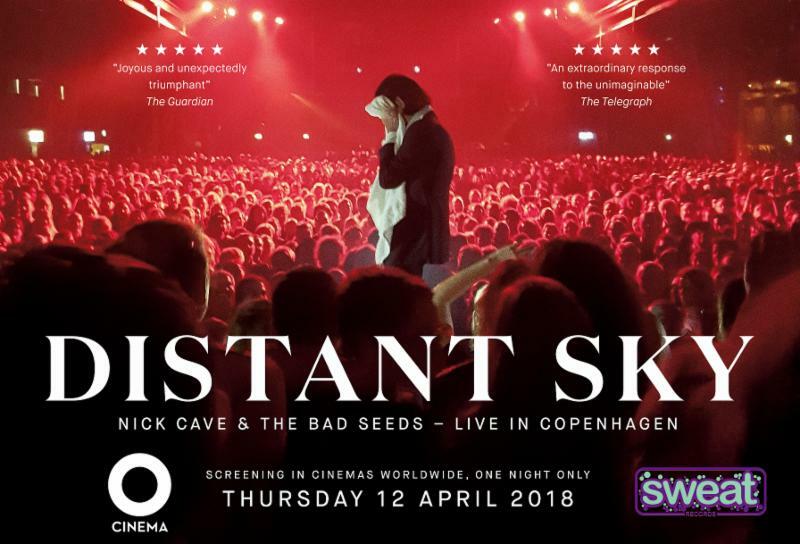 Also, Dishes For Dogswill be giving out goodies as well as hosting a post-screening get-together at their new store where they'll be offering up free beer/wine and small bites. 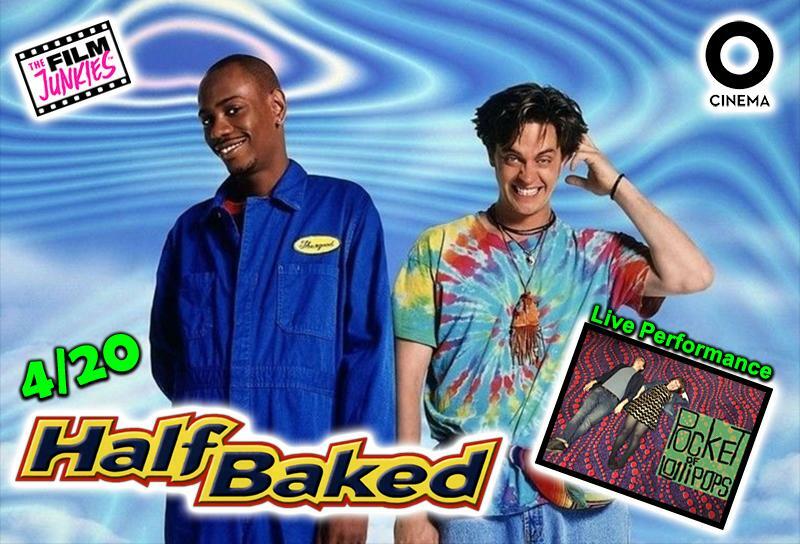 Tickets are selling quick so grab yours today. 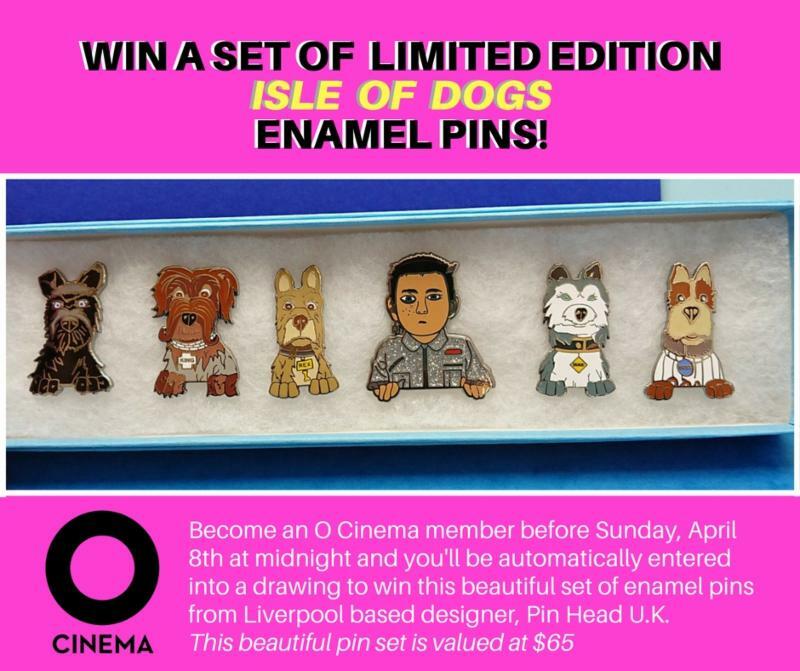 Become an O Cinema member before Sunday, April 8th at midnight and you'll be automatically entered into a drawing to win this beautiful set of enamel pins from Liverpool based designer, Pin Head U.K. This lovely collectable set is valued at $65. Support your favorite indie cinema and get a chance to take these beauties home with you! 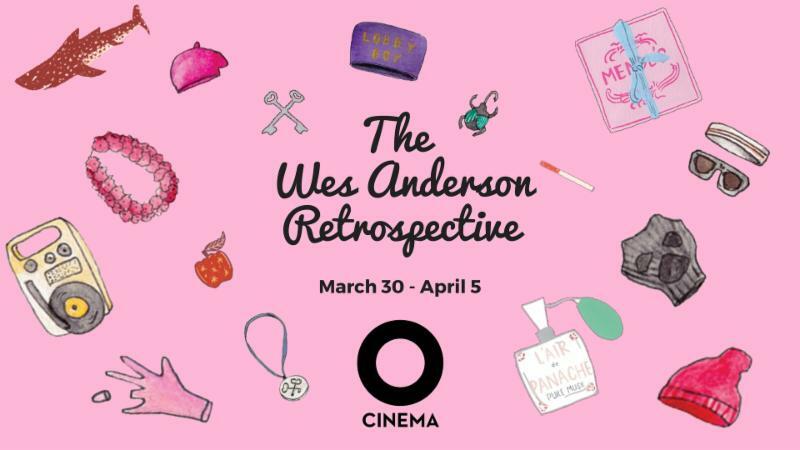 WES ANDERSON RETROSPECTIVE CONTINUES THRU THURSDAY! We've had a fantastic time this week with you as we've revisited all of Wes Anderson's film for our full retrospective of his body of work. This cinematic trip down memory lane comes to an end this Thursday as prepare for the opening of Wes' newest, Isle of Dogs. You still have time to catch a few films as part of the retrospective. Details here. A specialist in black humour whose television and film work includes the scathing political satires The Thick of It, Veep, and the Oscar-nominated In the Loop, Armando Iannucci is in his element with this acerbic send-up of the Soviet Supremo and his band of scheming bootlicks. Deploying a wide range of English-speaking actors with an assortment of accents - Cockney, Brooklyn, Liverpool - Iannucci sends a not-so-subtle message that Stalin and his inner circle were a bunch of arrivistes who wound up at the helm of a Cold War superpower. The year is 1953. Joseph Stalin (Adrian McLoughlin) seems in hale (albeit paranoid) condition, terrorizing everyone, summarily killing off any suspected dissenters, and keeping even his cronies on edge. That comes to an abrupt halt one morning when the dictator is found belly-up on the floor of his office following a stroke. What follows is Iannucci's version of hijinks: the plotting and jostling for power by a group of connivers who cowered under their boss. All of the top lackeys are in contention - milquetoast Malenkov (Jeffrey Tambor), wiseguy Khrushchev (Steve Buscemi), bewildered Molotov (Michael Palin), thuggish Zhukov (Jason Isaacs), and depraved Beria (Simon Russell Beale), with Stalin's drunken son Vasily (Rupert Friend) and jaded daughter Svetlana (Andrea Riseborough) off to the side. They move with the clumsiness of aspirants not up to the job but desperate for it anyway. 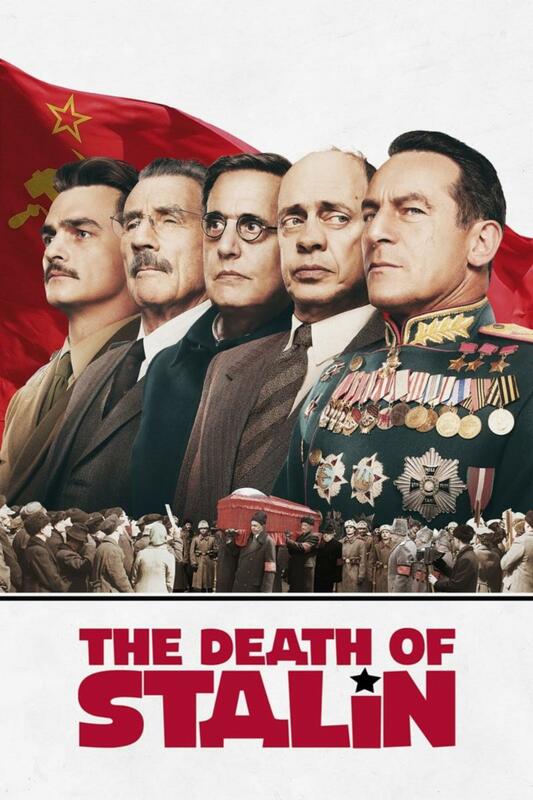 Within the burlesque of THE DEATH OF STALIN is a timely allegory about venal, unfit leaders and corrupt governance - the kind of comedy that is Iannucci's specialty. It's not hard to imagine similar, if less bloody, events unfolding in a different capital today. HELD OVER FOR A SECOND AND FINAL WEEK! "The laughs come in jolts and waves...in a brilliantly arranged mix of savage one-liners, lacerating dialogue and perfectly timed slapstick"
"FUNNY...will make you choke on you laughter"